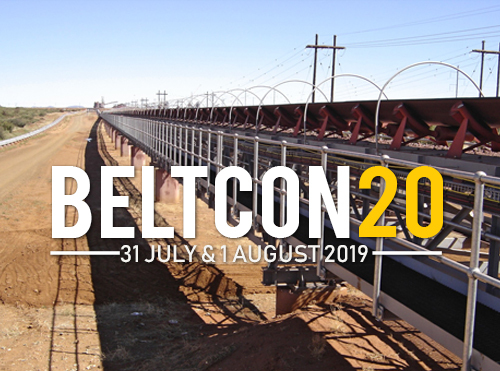 Beltcon20 | Date: 31 July and 1 August 2019 | Venue: St George Hotel and Conference Centre, Midrand, Gauteng, South Africa. Beltcon20 is scheduled for 31 July and 1 August 2019 and will again be held at St George Hotel and Conference Centre, Midrand, Gauteng, South Africa. Now in its 40th year, this prestigious conference is recognised worldwide as a valuable resource in bringing the very latest developments in materials handling to a wide audience. 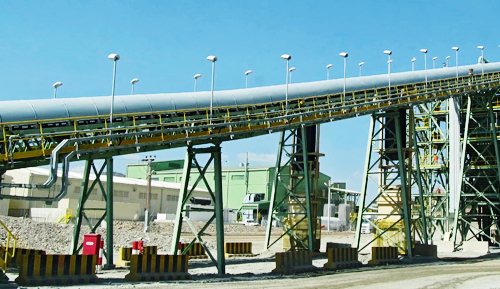 Up-to-date research, new conveyor techniques, report-backs on methodology and installations and new technology are presented by some of the most eminent international conveying specialists. Beltcon draws on the expertise of distinguished speakers from academia, researchers, professional engineers working in the field and practical, hands-on conveying experts who present two days of informative and absorbing materials handling and conveying information. The conference programme covers a full two days of presentations, with the usual tea and lunch breaks when delegates may visit the exhibition. Delegate packs include a hard copy of the technical paper for each presentation. Two CPD credits for attendance accrue to Engineers registered with ECSA. Past papers of conferences Beltcon 1 (1981) through to Beltcon 18 (2015) are available as downloads from the Archives tab. If you were unlucky and could not attend Beltcon 19 in 2017, please visit the Archives tab to see what you missed. All the papers are there and when you see the variety and quality, you won't want to miss Beltcon 20! The importance of random lump shapes for material characterisation in discrete element modeling to improve simulated behavious for transfer chutes (J Amoroso). The exclusive exhibition is housed inside the auditorium giving direct access by all delegates to the conference. Delegates may visit the exhibition during tea and lunch breaks and before and after conferencing times. The exhibition is closed during the conference proceedings and is not open to the public. A floor plan and list of exhibitors will be available closer to the event. The cost of the exhibition stand includes 2 delegate tickets.